Courtney S. O’Brien utilizes a supportive, integrative approach to facilitate optimal healing, prevention of chronic illness and pain, and in providing natural, comprehensive solutions for women’s and men’s health. 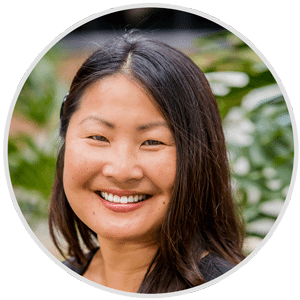 Courtney combines the following disciplines to get great results: acupuncture, Chinese herbal therapy, Functional Medicine, lifestyle and nutritional counseling, and Life and Wellness Coaching. It is always her intention to identify the most appropriate, specific, effective and unique plan for getting good results for her patients and helping them to return to a state of optimal health. Her background in alternative medicine began more than 10 years ago when she began her Master’s degree in traditional Oriental medicine in Phoenix, AZ. In her private practice she practiced traditional Oriental medicine and Korean constitutional medicine, which helped her to identify each patient’s unique constitution and susceptibility to complicated chronic conditions that patients were unable to find both relief and good results from elsewhere. Some of these conditions include: IBS and digestive disorders, low back, knee and systemic joint pain, rheumatoid arthritis, asthma, allergies, sinusitis and rhinitis, anxiety, worry and stress, depression, TMJ, uterine fibroids, fibromyalgia, chronic fatigue syndrome, weight gain, thyroid disease, insomnia, PMS, period pain, ovarian cysts, infertility, menopause, psoriasis, migraines, and sports injuries, to name a few. Courtney was able to help her patients by not only alleviating the symptoms, but also creating treatment plans to strengthen weak organs and meridian systems in order to create better future health. At Reproductive Wellness Clinic and San Diego Acupuncture, Courtney considers herself very fortunate to work with both women and men who are looking for integrative solutions for their often complicated and frustrating conditions and life situations and looks forward to creating a safe, supportive place for healing and wellness to occur.